The world wide web continues to change how people shop for merchandise that pertains to certain fandoms. And of course for this article, we'll be focusing on Shiba Inu fandoms. What used to be unavailable to us in the past, like a cute Shiba Inu throw rug, for example, can now be found on the internet or in the next town over (if you look hard enough). Since Shiba Inus are too cute for words, of course one can never have too much Shiba Inu themed products. 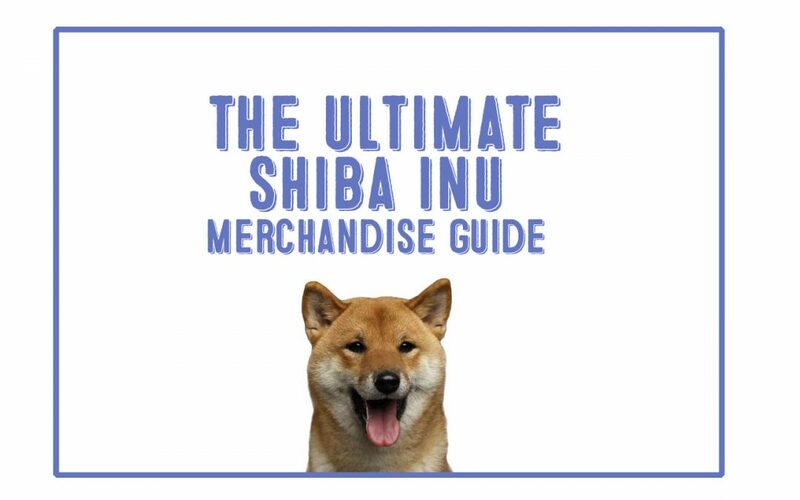 That is why we put together the Ultimate Insider's Guide to Shiba Inu Merchandise to help you find the perfect Shibe item! People love the Shiba Inu breed, that's no secret. And when people love something as dearly as doge - products get made. That said, while the breed’s popularity throughout the world has grown rapidly, some places still see very little Shiba Inu merchandise coming through. For example, when was the last time you saw a Shiba Inu pillow in the department store? Unless you live in Asia, probably never. Some Shiba Inu merchandise is harder to find than others, so we've broken up merchandise into categories to talk about the difficulty of finding such items (rated easy to hard), how to procure them, and what you can expect to find. Who to buy for: Children or kids at heart who love cute things or who collect stuffed animal. Shiba inu plush dolls are not so common in U.S. brick and mortar stores. 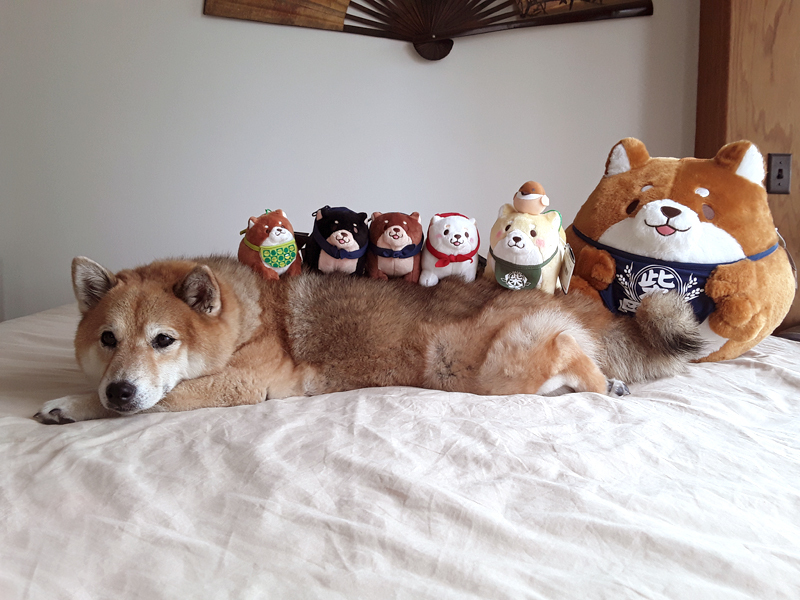 The kinds of stuffed animals that are relatively life-sized are usually Labradors and Retrievers, meaning that Shiba Inu puppers go largely unrepresented in the stuffed animal realm. Yet, when you type “Shiba Inu plush” or “plushie” into a search engine, amazon and other listings do pop up. However, these dolls are often small collectibles straight from Japan or pillows for the bedroom. Who to buy for: Anyone and everyone who loves Shiba Inu dogs! You can find styling Shiba styles that suit every personality. 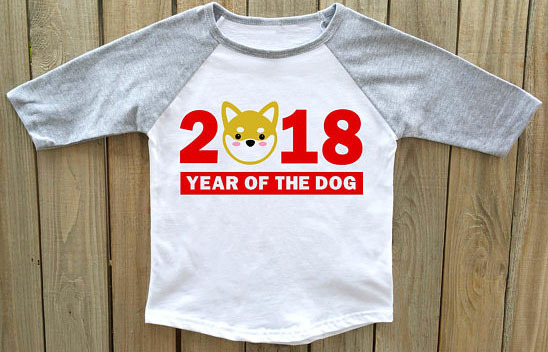 Customized clothing with Shiba Inu related themes are surprisingly vast and locating the perfect shirt online is fast and simple. Some websites feature clothing made in Japan with traditional style artwork. Others are more contemporary in style or feature your favorite Shibe meme. To find something that suits your style or for whomever you are buying for, try giving craft sites like Zazzle, Etsy, Redbubble, and CafePress a try. These sites have an unlimited amount of Shiba Inu prints ranging from Christmas sweaters, workout clothes, sassy sayings, and much more. Also, you will be able to sometimes choose between the style of shirt or pants you want, such as hoodies (zip or pullover), tank tops, t-shirts, raglan, sweaters, sweatpants, leggings, and more. The only thing that seems to be hard to find would be Shiba Inu themed undergarments. Who to buy for: People who want something funky but not blatantly obvious. On the flipside, people who enjoy wearing conversation starters. It depends on the accessory, really. Shiba Inu Bags, wallets, watches, socks, shoes, pins, brooches, hats… if you dig a little through the internet, you can find a number of wearable Shiba Inu merchandise that has nothing to do with shirts or pants. Yet, what you find and the amount of variation between products greatly depends on the kind of accessory you are searching for and how much you want to spend. A customized brooch on Etsy might cost you more than a pair handknit socks, for example; but the options are out there. Shiba Inu Kigurumi For Humans! Who to buy for: People who love unique pieces of jewelry or who like making statements. Want a pair of dangly Shiba Inu earrings? How about a ceramic Shiba Inu ring? Or a gold Shiba pendant, perhaps? You'll find that many stores offer the same kind of generic designs, and not all of them are very flattering. Sometimes, the Shiba Inu comes out looking slightly possessed -- which is great for Halloween but not for fashion purposes. Other times, the item looks less like a dog and more like a fox. That said, when you are searching for quality Shiba Inu jewelry, one of the best places would be Etsy. There are a number of pendants set in precious metals that are very elegant, making the necklaces the perfect gift for a lucky Shiba mom. More masculine pieces, such as leather bracelets with a silver charm are occasionally found. Who to buy for: Your Shiba Inu, of course! You would think finding Shiba Inu clothes for your furry companion would be easy-peasy, right? Well, you’re in for a surprise. Unless you are up for making your own Shiba Inu clothing, options are few and far between. Now, that is not to say nothing exists; it's the variety of clothes, such as customized collars, bandanas, costumes, I.D. tags, and other accessories specifically designed for doggos that are missing from the line up. The best option is to get inspiration from Instagram and Shiba Inu related websites then commission the design you want. Who to buy for: Stationery lovers, penpals, notetakers, students, and scrapbookers. Stationery applies to things like notebooks, office supplies, greeting cards, pencils and pens, calendars, washi tape, and wrapping paper. One of the best places to find Shiba Inu stationery is Japan, without a doubt. However, not many people are going to go to Japan simply to stock up on Shiba Inu writing paper and washi tape. That leaves you with the internet to help you fulfill the need for Shiba Inu post-it notes, bookmarks, and stickers. Certain things are easy to locate, like Shiba Inu greeting cards. You can find a surplus on any custom printing site. Notebooks, pens, and stickers are a bit more of a challenge. Certain products are limited, and some of the designs aren’t that wonderful. Surprisingly, though, the amount of adorable Shiba Inu washi tape available for purchase online should satisfy anyone looking to jazz up a parcel or their scrapbook. Who to buy for: Shiba inu moms and dads, people who love the Shiba Inu breed but not a doge of their own, or someone looking for a conversation piece for their interior decor. Shiba Inu home goods can be divided into clocks, lights, rugs, mugs, statues and figurines, pillows, tapestries, blankets, towels, and the like. Although the demand is probably there, getting your hands on a Shiba Inu throw rug is rather difficult outside of Japan. Mugs and other items that can be custom made are easier to come by and feature some tempting designs and colors. Ornaments and figurines have also grown in number on certain websites, especially during the holidays when everyone wants a “Shiba’s first holiday” to adorn the mantle. Who to buy for: Art lovers. The best thing about art is that anything can be art if you simply choose to see it that way. In other words, collectible Shiba Inu figurines, ornaments, postcards, photographs, paintings, coasters, and anything with an artistic style print can fall into this category. Since Shiba Inu dogs are so expressive and meme-worthy, they are often the subject of photography, paintings, animation, caricatures, and so on. Thus, places like Fine Art America, Zazzle, Etsy, and similar sites have a number of images to choose from. Who to buy for: Anyone. More often than not, you are not going to find the perfect item when scouring the internet, especially when searching for a gift for someone special. This is especially true for customized artwork and other household goods. For example, if you want your Shiba Inu to be the star of wall art, obviously no other Shiba Inu is going to do. Check out custom printing websites for items if you want to add your own photographs and artwork to mugs, rugs, wall art, and clothing. Moreover, custom products can also be ordered from freelancers and designers for hire (we'll discuss this option more later on down the post). Who to buy for: Gamers, book readers, anime lovers, and movie connoisseurs. Outside of Japan, Shiba Inu in media are severely limited but not entirely absent. If you know someone who doesn’t mind watching foreign films, you can always purchase them a DVD about a famous Shiba Inu in Japan, such as 10 Promises to My Dog (2008), A Tale of Mari and the Three Puppies (2007), Hachiko Monogatari (1987). Anime lovers can be gifted with box sets of anime featuring Shiba Inu characters like Hoozuki no Reitetsu (which features an adorable Shiba Inu named Shiro who likes to sing). As for books, you can choose between facts on Shiba Inu, how to train Shiba Inu, comprehensive guides, historical details, and whatnot… but when it comes to characters? Again, you might find yourself seeking out the manga counterparts to popular anime. Now that we have had a look at what kinds of Shiba Inu products are available out there, here is a list of the sites with the most Shiba Inu themed merchandise available for purchase! Get your wish lists ready! When it comes to special items that are made with love, Etsy is one of the sites that first come to mind. There are a slew of offerings featuring Shiba Inu on Etsy, some more reasonably priced than others. Because every single product is made by an individual artist, you can expect it to be truly unique (unless it is something printed, like a shirt). One thing you have to keep in mind about Etsy is that every Etsy seller is different. Some of them don't ship internationally. Some have free shipping, while some prefer that you also pay for shipping and handling. However, with all the options, you can certainly find the perfect Shiba Inu themed item or something similar. Though Redbubble doesn't specialize in just Shiba Inu merchandise, when you search for it on the website, a bunch of products pop up. Nearly 2000 products to be exact. These items range from sticks that run around $3.00 a piece, artwork of Shiba Inu with flower crowns, iPhone cases, super cute t-shirts featuring Shiba Inu dressed as samurai or saying “nope,” and much more. The sheer number of interesting t-shirts make this a great site for purchasing items for multiple people, especially if you are part of a Shiba Inu loving community. 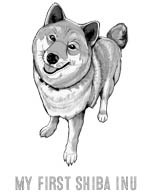 Redbubble.com also has other search terms like “doge” and “doggo” that yield some Shiba Inu related results. You can definitely find something unique here! Shipping is international (custom rates apply), and if you sign up for emails, you can get a 10% off coupon. Because Shibattitude is a small web-based shop based in the Netherlands, every item available on the site has unique European flair. All the products have been designed and purchased in either the Netherlands or in Belgium. Everything is handmade and of excellent quality. Brain games to make your doge even smarter or keep them entertained during holiday travels! Also, you can find some items by Shibattitude on Etsy! It's high time to get acquainted. Not only can you design your own Shiba Inu t-shirts and other merchandise, you can find items that aren't mass produced. Cafepress is very similar to Etsy and Redbubble because of this, but many of the items that are featured on Cafepress can't be found on other websites (unless the same person goes and adds their products to Etsy). One of the pluses of using Cafepress is that there are four individual stores: Australia, Canada, United Kingdom, and United States & Worldwide. This means that you can use the storefront that is appropriate to your location. Also, when you first sign up, you get a 25% off promotional coupon. Other deals are constantly being added to the website too, like 40% personalized photo blankets or 20% off sitewide. Big savings, much wow. “Our paws are everywhere” is the tagline to this small ecommerce store that sells items perfect for the holidays. Sometimes, you don't just want to give a Shiba Inu lover a t-shirt and car decal. Maybe the person has a collection of Shiba Inu ornaments that you would like to add something to. Maybe you happen to be looking for some special Shiba Inu stationary to write down any memes and blog ideas that pop into your mind. The Dog Lover Store has that kind of merchandise for humans to enjoy. But, if you're seeking something special for your furry companion, there is also a modest collection of collars and leashes, pillows and blankets to brighten up your Shiba Inu's bed or crate. Though Dog Lover Store is based in Massachusetts, secured ordering and worldwide shipping is available. Based in Hong Kong, Shiba Inc. is a small online shop that began in 2013. When the owners of a red Shiba Inu named DD fell in love with their darling doggo they promptly decided to spread their shibe joy throughout the world. Shiba Inc. has some ridiculously cute products available, originally crafted or sourced from reputable creators and brands around the globe. The main brand is the “Shibe Product Line” that has a token mascot character who is absolutely adorable. There are goods fit for humans and doges, meaning everyone can receive a gift from this unique online store. A lot of the merchandise is seasonal, too. For example, during Christmas time, Shiba Inc. has holiday themed plushies on sale, pillows, and a d'awww worthy snowglobe. Many of these seasonal items are limited edition, though, so be sure to grab them while you can. Otherwise, you are going to have to wait for next year to come around before another version becomes available. Other products that you can find online include Shiba Inu mugs of different sizes and styles. Some let you choose the graphic color so you can match the doggo on the mug to your beloved shibe. Then there is the custom-made Shiba Inu rug that will come with your choice of Shiba Inu graphic, either “scratch my back” or “rub my belly” and the name of your doge at the top. Shiba Inu Pillows, aprons, luggage tags, stationery, decals, and so much more can be found on this website. Everything ships worldwide. You can also pay with Paypal. Just be sure to read the Terms and Conditions prior to ordering! Also, if you want to stay up-to-date with what is being offered or what to see DD and her friends modeling with the new products, be sure to follow Shiba Inc on Instagram (@shibainc). Or check out the Facebook page. This website has been servicing dog lovers for over 15 years. There is merchandise for 120 dog breeds, Shiba Inu included. A lot of the items are produced in the United States by small businesses and manufacturers or individual artists, craftsmen and women, embroiderers, and jewelers. Not only are you finding unique goods, you are supporting small businesses! Another reason Pet Pro is a good choice when searching for Shiba Inu merchandise is the items that are carried. It is a veritable cornucopia of collectible Shiba Inu treasures. Shiba inu bookends for the well-read doggo and human. There are also Sherpa throws for you and your shibe to stay warm in winter, stained glass sun catchers, a great number of ornaments, and some more kitschy stuff, like a Shiba Inu walking stick or treat jars. If you sign up for the newsletter, you will be informed of exclusive offers, sales, new products, and other promotions. Though the website says little about international shipping, the information posted on the website says most items are sent from the distribution center in San Diego, California. Depending on where you are from there, most products take between 1-2 weeks to arrive. Don't hesitate to contact Pet Pro if you have questions. Judging from the testimonials, their customer service is top-notch. Although Zazzle isn’t the biggest name in purchasing online goods that are made to order anymore, it’s been around for 10 years and is still a place where uniqueness is one every page of the search results. A quick search on Zazzle for Shiba Inu items yielded a plethora of items (over 13,000 product results) that haven’t been seen yet on any other store. There are a vast number of wrapping papers featuring Shiba Inu to make your holidays heckin’ bright, meme mugs, Shiba Inu holiday stockings, greeting cards, pillow cases, and ornaments. Then, there are some items that you can also find on Etsy, Cafepress, or Redbubble. However, let’s say you are unable to get an item you fell in love with on Cafepress because it hypothetically sold out there. You might be able to acquire that same item on Zazzle for around the same price. Zazzle is also a good option for international buyers and those looking to buy in bulk, since they have a decent amount of shipping options available. Plus, you know that you are not just buying from mass producers but from artists and people running small businesses throughout the world. There are a number of payment options, ranging from credit cards, debit cards, and even Paypal. The main draw to Tofu Cute is the kawaii plushies that are also in stock. The group sends items straight from Japan and East Asia, is based in the UK, and offers worldwide delivery. In other words, ordering from Tofu Cute is quite convenient, especially if you are looking for goods sourced straight from Japan that are too cute to be real. Though the Shiba Inu themed goods are kind of limited, the key chains are different from what is available on other websites. Gigantic cuddly Shiba Inu plush pillows – designed by the Japanese company AMUSE, tsum-tsum styles for stacking. Obviously, these goods do not come cheap, but since they are top quality and usually only available at pachinko and arcades in Japan, it's still a pretty good deal. Tofu Cute offers secure online payments using Paypal or other electronic means. If you are in the UK, you can get free delivery for orders valued at GBP20. Now, there are two sites that haven’t been mentioned yet: Amazon and eBay! Naturally, most people will first check Amazon and eBay for some Shiba Inu themed goods and won’t be disappointed by the selection that is available. You can find a number of items on either website that come straight from the Shiba Inu homeland of Japan, such as calendars, cushions, and kigurumi. There are also Japanese keychains with bells (the ones that are insanely popular as souvenirs), complete stationery sets that come from Japanese dollar stores, eco-friendly tote bags, and much, much more. Simply type in what you are looking for into the search bar and be amazed by what is available. One huge advantage of using Amazon or eBay to search for Shiba Inu merchandise would be the availability of faster shipping and better (or free) rates. If you need some Shiba Inu merch immediately, such as for the holidays or a birthday present, using one of these trusted internet shopping hubs is going to be much more convenient than relying on an independent dealer. Although, some goods might not ship to where you live, which can be rather upsetting. However, when you want something truly unique, it is recommended to use the previously mentioned websites that have custom-made goods. Do you have an idea in your head for the perfect Shiba Inu gift but can’t find anything similar? Then why not make your own merchandise? There are a number of sites online that can help you fabricate the perfect Shiba Inu item. Though it might take a bit more effort than just scours pages upon pages of search results, making your own Shiba Inu merchandise is a surefire way to getting your money’s worth of satisfaction. You might be thinking, “But I’m terrible at designing anything!” Don’t worry, even if you just have a photograph that you have fallen in love with or a rough sketch of the design that you want to see come to life, there are ways to get what you want. Let’s say you have a photograph of your Shiba Inu that you want transformed into digital art or painted, as an example. You can contact a freelance artist to take that picture or idea and turn into whatever you want. Fiverr and similar freelance service sites like Upwork are great because you can work directly with the seller to come up with the perfect product. Plus, you can shop around for the most budget-friendly option. Obviously, if you want a woodcarving or porcelain statue, it’s going to cost you more than something someone can come up with in Adobe Illustrator, but it will be worth it in the long run to have something specially crafted to your needs. Though I have already mentioned these two sites for purchasing pre-made goods, I thought it would be a good idea to repeat how exceptional the product creator tools are. Zazzle and Cafepress have come a long way since they first began. You can now create almost anything to your personal specifications using any photograph or piece of artwork you upload into the editing software. From there, you can play around all day until you come up with exactly what you want. If the website’s product creation isn’t 100% adequate, you can use other free online graphic design materials, like Canva or BeFunky, to add to your drawing, sketch, or photograph before adding the finishing touches on Zazzle and Cafepress. CustomInk – A world-famous American company specializing in on-demand screen printing, digital printing and embroidery. TinyPrints – Another American company based in North Carolina that specializes in invitation cards, stationary, home décor, and gifts. This is often a cheaper alternative to sites like Cafepress. Depending on where you are in the world, getting your hands on some quality Shiba Inu merchandise can be challenging if you don’t know where to look. Using the sites listed, or potentially fabricating your own custom-made Shiba Inu merchandise makes acquiring something that speaks volumes about your love of shibes is easier than ever. Have other sites that sell Shiba Inu related merchandise? Know someone who makes cool knick knacks pertaining to our favorite breed? Feel free to comment and let everyone know! 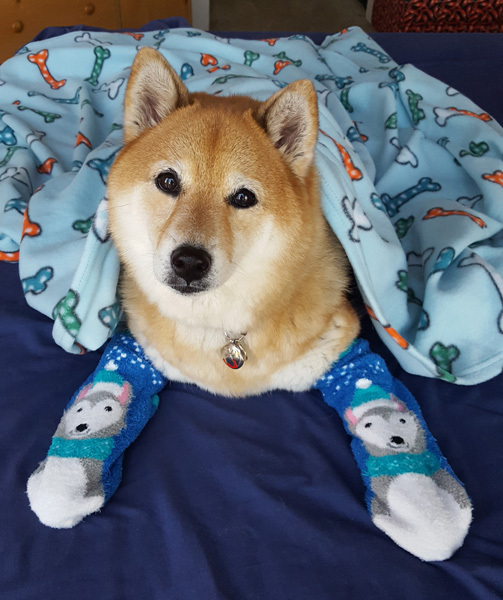 Thanks for visiting Myfirstshiba.com! We do our very best in providing our readers with awesome content about our beloved Shiba Inu breed. Some of our articles include reviews and recommendations to our favorite products. We do occasionally earn commissions from certain affiliate links that help support our work and mission. Thanks again for visiting. Shiba Kisses To All! What Exactly Is A Shiba Inu Kigurumi a.k.a Shiba Inu Hoodie?